Are you a future poultry industry leader? 24 February 2019, at 12:00a.m. Run in conjunction with ABN feeds, the Poultry Industry Programme (PIP) aims to build on the existing skills and knowledge of the young people that take part. It's made up of a series of events which give participants a unique insight into the industry as well as creating contacts with other professionals. The PIP brings together like-minded young people, offers market insight into the British poultry meat and egg sectors and teaches new skills to help participants develop their careers. Greg Marsh, 2016/17 PIP participant, said: “The programme is imperative in allowing young farmers the opportunity to further expand and develop their experiences in order to push the industry with new ideas and investment, learnt through meeting different people with different ideas and looking at alternative or new technologies within the sector." The PIP was initially started by the NFU as they recognised a need to develop young people already working within the poultry industry and broaden their knowledge. 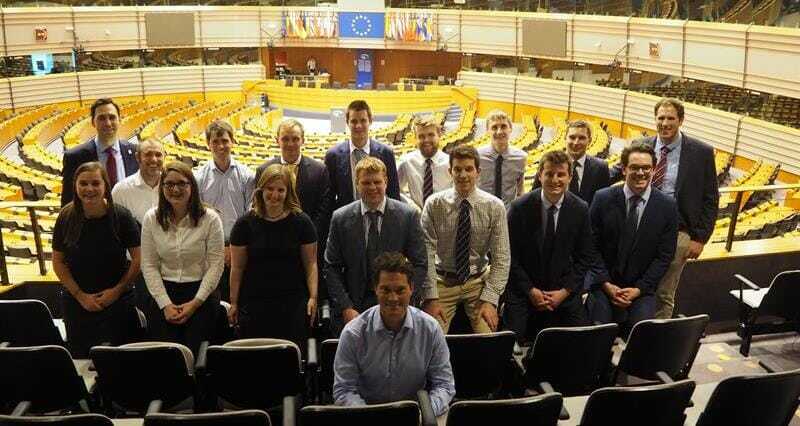 Aimee Mahony, NFU Poultry Adviser, said "it is important to engage and encourage the next generation and the NFU’s Poultry Industry Programme aims to inspire those already working within the sector to become future leaders". Applications are now open for the fourth Poultry Industry Programme. The deadline for applications is the 26 April 2019. Further information including details on how to apply can be found by clicking here. Inviting the public to see your farm takes a lot of planning - but it has lots of benefits. We asked four experts in staging open-farm days to describe them and offer their advice.